The University of Toronto has just established a scholarship for anti-psychiatry. Called the Bonnie Burstow Scholarship in Antipsychiatry, it is being praised by Scientology. As a graduate with two degrees from the U of T, I'm offended, as are many others. 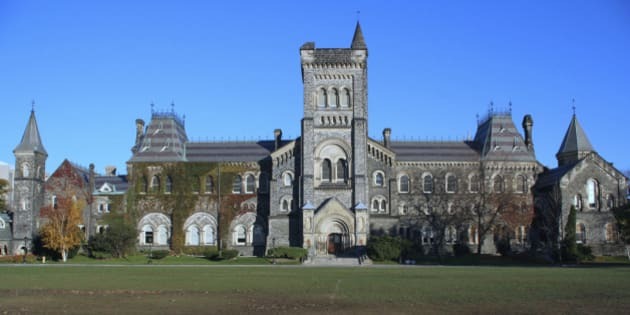 The University of Toronto, ranked as number one in Canada, 16th worldwide with the 12th ranked medical school internationally, has just established a scholarship for anti-psychiatry. Called the Bonnie Burstow Scholarship in Antipsychiatry, it is being praised by Scientology. As a graduate with two degrees from the U of T, I'm offended as are many others. What next, a scholarship to study anti-evolution or anti-vaccination? Actually, that is not that far fetched since the U of T was the recipient of a great deal of public outrage recently when it was discovered that a naturopath was teaching anti-vaccination theory at its satellite campus in suburban Scarborough. Beth Landeau-Halpern, the lecturer was cleared in an investigation by the university but her course was soon dropped. This present scholarship is named after Bonnie Burstow, an associate professor of Adult Education and Community Development at the Ontario Institute of Studies in Education (OISE) within the University of Toronto. She is a critic of institutional psychiatry. OISE states in the scholarship announcement that they have "the largest single group of antipsychiatry scholars anywhere in North America" and they "are the members of the Burstow thesis support group". Universities are diverse institutions with many different faculties focusing on their own particular areas of expertise. OISE was established in 1965 to offer graduate programs, conduct research and disseminate its findings, and to engage in field development activities in education. Yes, education not medicine and not science. They are, they claim, Canada's only all-graduate institute of teaching, learning and research. No mention of science, neuroscience or medicine. Situated at the south end of the university's sprawling downtown Toronto campus two subway stops away from OISE is the Faculty of Medicine in the Toronto research Discovery District close to many large teaching hospitals. Established in 1843, the school has more than 8000 faculty and 6900 students. Among the accomplishments have been the discovery of insulin, stem cells, pablum for infant nutrition, mobile blood transfusions, sprinkles for nutrition, the glycemic index and the first heart pacemaker. In psychiatry, the U of T is home to Dr Philip Seeman, a professor emeritus in pharmacology and psychiatry. In 1975, he discovered the antipsychotic/dopamine receptor, now named the dopamine D2 receptor providing the experimental basis of the dopamine hypothesis of schizophrenia. In 1999 he discovered that the atypical antipsychotics clozapine and quetiapine rapidly dissociate from D2, explaining why these antipsychotics are preferred by patients. This discovery led to the synthesis of new fast-off-D2 antipsychotics. The antipsychiatry bursary, I assume, will enable non scientists to disprove these discoveries. I did say that Scientologists are ecstatic, and they are. The Canadian chapter of the Citizens Commission of Human Rights (CCHR) announced on their facebook page "some very, very good news" and that Burstow is "a rock star." CCHR was first established in 1969 by the Church of Scientology and Thomas Szasz (The Myth of Mental Illness) to promote its anti-psychiatry agenda. As a professional long heralded as the conscience of psychiatry, it is my pleasure to endorse the newly formed Bonnie Burstow Scholarship in Antipsychiatry. Science is demonstrating that psychiatric diagnosis and drugs, electroshock, and involuntary treatment are doing much more harm than good. Breggin admits to having worked with Scientology in the early 1970s but states that he left. He did write a lengthy defence of Tom Cruise's anti-psychiatry rant according to a Huffington Post biography of him. That article points out that Breggin "is not certified by the American Board of Psychiatry and Neurology, which is the recognized agency for certifying psychiatrists." Dr. Breggin's observations are totally without credibility. I can almost declare him, I guess from statements that floor me, to say the he's a fraud or at least approaching that. He has made some outrageous statements and written outrageous books and which he says he has now withdrawn and his thinking is different. He's untrained. He's a member of no hospital staff. He has not since medical school participated in any studies to support his conclusions except maybe one. . . . I can't place any credence or credibility in what he has to recommend in this case. The public and academic outrage over this scholarship is only just starting. I actually first heard of it on facebook from fellow advocates in the US who were not very impressed. One commented that the scholarship founders must be voting for Trump. According to California psychiatrist, Stephen B Seager, "anti-psychiatry really means anti-science." Dr Seagar is the author of Behind the Gates of Gomorrah: A year with the Criminally Insane and the director of a new documentary film Shattered Families: The Collapse of America's Health System. Bonnie Burstow, your sniping from the sidelines does far more harm than good. Your university has a Faculty of Medicine and a Department of Psychiatry. You are already on salary I presume. Why don't you offer to participate in Faculty of Medicine seminars and lectures and workshops to promote your ideas and opinions? In that forum, to the extent any are valid, they would have an influence. U of T spokesperson, Althea Blackburn-Evans however , told me over the phone that open debate is a fundamental mandate of a university and the university has no problem with such a scholarship. Each department within the university, she added, has jurisdiction over what they decide to fund. This scholarship is supported by the dean of OISE. Dr. Benoit H. Mulsant, Professor and Chair of the Department of Psychiatry, said in an e-mail to me via media spokesperson, Liam Mitchell that "Universities are places where free inquiry is encouraged and supported. The Department of Psychiatry will continue to prepare the next generation of psychiatrists. Doing so, we strive to uphold the highest standards of the profession, consistent with the latest research that ensures the well-being of individuals with mental disorders."